Beat the winter chill with the hottest festival of the year. Not Kingfisher calendar photo shoot, but something way hotter and well, cooler too. 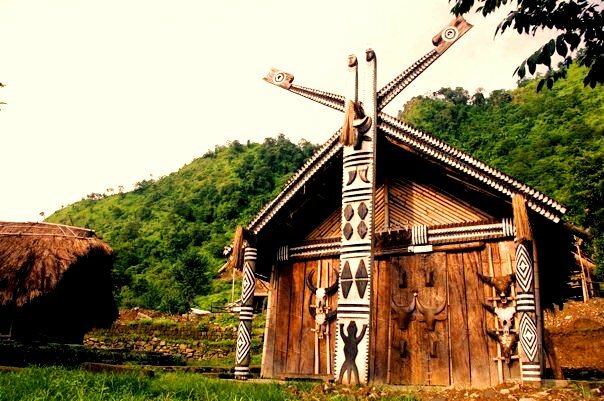 Gear up for Hornbill Festival, the annual cultural extravaganza of Nagaland. Named after the Hornbill bird, visible in many traditional symbols and folklore of Nagaland, the weeklong fiesta can be best described as a melange of inter-cultural festivities of the land. 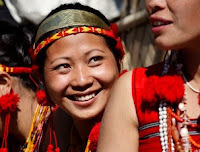 Often referred to as the ‘Switzerland of the East’, for its scenic ascendancy, Nagaland (North-eastern state in India) is the home to a multitude of indigenous tribes. Each of these tribes has sovereign festivals handed down by their ancestors, which they celebrate with a lot of ardour and devotion. Some of the important festivals celebrated are: Tsukhenyie by the Chakhesangs in January, Mimkut by the Kukis in January, Bushu by the Kacharis in January, Sekrenyi by the Angamis in February, Aoling by the Konyaks in April, Monyu by the Phoms in April, Moatsu by the Aos in May, Tuluni by the Sumis in July, Nyaknylum by the Changs in July, Tokhu Emong by the Lothas in November and Yemshe by the Pochurys in October. The Hornbill Festival is a brainchild of the Government of Nagaland, to create an inter-tribal cultural exchange amidst the people of the state. It has also proved to be an apt platform to promote the cultural heritage of Nagaland, and is a bonus from tourism perspective too. Hornbill festival is organized by the State Tourism and Art & Culture Departments was introduced for the first time in the year 2000. The Naga Heritage Village at Kisama (about 12 KM from Kohima), permanently created for this purpose, hosts this annual gala. The independent festivals of about 16 odd Naga tribes, celebrated over different seasons of the year, are condensed into this seven day long celebration. Hornbill festival unites the people of Nagaland as they amass under one roof to display their indigenous arts and crafts. The sought after highlights of the festival include the Traditional Naga Morungs Exhibition and sale of Arts and Crafts, Food Stalls, Herbal Medicine Stalls, Flower shows. The celebration is garnished with a cultural medley of traditional songs and dances, fashion shows, beauty contests, traditional archery, Naga wrestling, indigenous games, and even motor rally. In 2007, yet another enlivening facet was introduced to this jamboree. The Hornbill National Rock Contest, possibly the only music festival in the entire nation to last for a week’s duration. 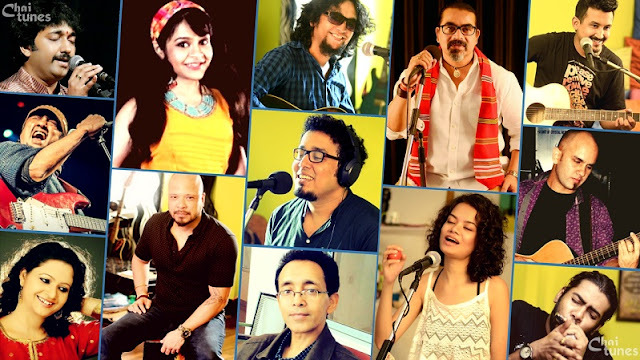 About a dozen bands vie for this coveted title, judged by a panel of judges that include musicians and personalities from music industry and media of the country. The Consulate General of United States of America and the Meghalaya’s Higher Education and IT Minister RG Lyngdoh (former member of band Mojo where he used play harb) kick started the Hornbill Rock Contest for the first time in 2007. So all the backpackers and travel freaks brace yourselves, for the celebration commences from the 1st of December. See you there. Motor rally?? That is great news. Sounds interesting. Wish you can post more pictures. Thanks for the information Pamita. Is it alright if I just attend the first 2 days of the festival? Which are the best days? Is there an itinerary I can get my hands on? I want to roam around other places too but since my main reason for coming is the Hornbill festival, I want to know how I can eke out the best in about 2-3 days.